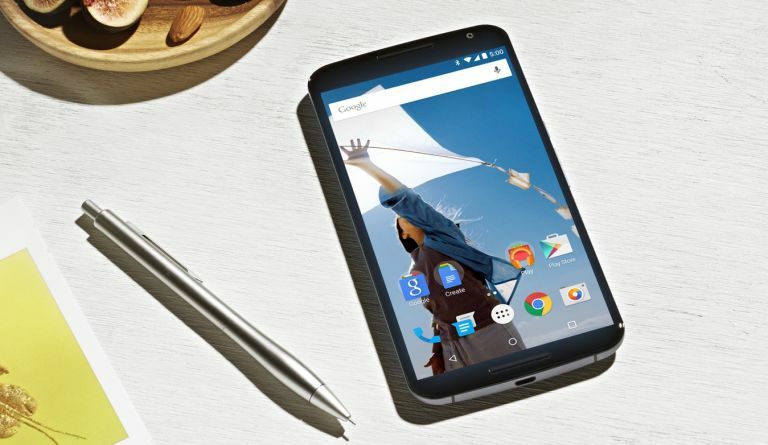 Google cuts the Nexus 6 price - is a new one on the way? If you're sitting on the fence about picking up a new Nexus 6 for yourself then today's a good day to make your move - Google has cut the price of the handset to £304 for the 32GB version and £379 for the 64GB model. As before, you can pick up the flagship smartphone in midnight blue or cloud white. That's quite a saving over the previous £499 (32GB) and £549 (64GB) prices, which have stayed the same since the Nexus 6 launched last October. The phones offer a 5.96-inch display with a resolution of 1440 x 2560 pixels, the latest version of Android Lollipop, a Snapdragon 805 processor, 3GB of RAM and a 13MP camera around the back. The cut in price would suggest there are new handsets on the way - there's been plenty of speculation that we'll be getting a New Nexus soon as Google looks to keep up with the Apple iPhone 6 and the Samsung Galaxy S6. The word on the Nexus street is that Huawei and LG will be partnering with Google to make this year's devices, but they won't be out for a few months yet at least - and in the meantime you can get the latest tech for a very reasonable price. Don't forget to check our guide to the best new smartphones. Is Huawei going to upgrade your selfies by making the rear camera also be the front camera? Infinity-O display, upgraded internals, new S Pen ... what's not to like?